Egypt opens an investigation into deposed president for handing over to Qatar "documents relevant to national security." Egypt has opened an investigation into deposed president Mohammed Morsi for allegedly handing over to Qatar "documents relevant to national security," AFP reported on Wednesday, citing Egypt’s state news agency MENA. 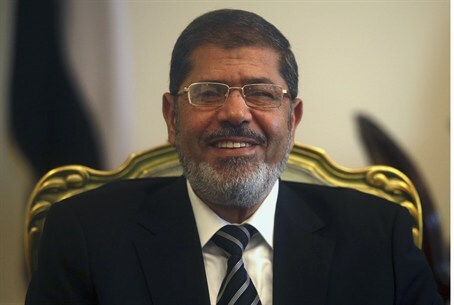 Morsi is already facing the death penalty in several trials and his supporters have been the target of a bloody crackdown by the authorities that has left more than 1,400 dead since he was ousted by the military in July last year. The former leader is suspected of providing "documents relevant to national security to Qatar via the Qatari Al-Jazeera chain when he was president of the republic (...), damaging the country's national security", said MENA. In March, Egypt's interior minister accused Morsi's secretary Amin El-Serafi of having delivered documents regarding the army, its armaments and the deployment of its troops to a chief editor of Al-Jazeera and member of the Islamist president's Muslim Brotherhood. The movement was listed as a terrorist group after Morsi's overthrow. The governments of Saudi Arabia, Bahrain, and the United Arab Emirates recently withdrew their ambassadors from Qatar, in protest over Qatar's support for the Muslim Brotherhood, especially in Egypt.